Though I have a general disdain for organized religion and I barely even believe in God, I have a deep affinity for churches. They always have the most ornate, beautiful architecture. They always create an amazing outline in a city’s skyline. They’re calm, quiet, and they have a distinct comforting scent. And even if you’re not religious, visiting a beautiful church will make your hair stand on end. These are some of the best churches in the world to marvel at the power of religious architecture. This Gaudi masterpiece is perhaps the most unconventional of them all. In fact, both the outside and inside look like something that should not be of this world. In the exterior, every side is unique, so much so that you might as well be looking at a different church. 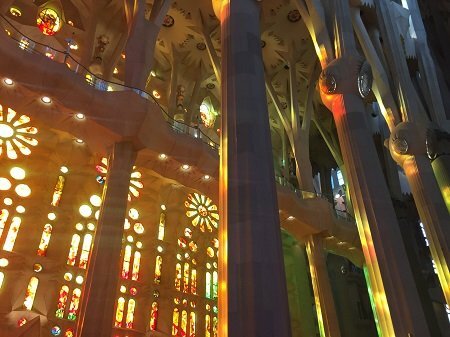 The vaulted columns inside are bathed in colorful light from all sides, which makes you feel like you’re inside of a rainbow. Construction on the unfinished church is expected to go on for at least another 8 years. But even unfinished, this is one of the most iconic churches in the world. 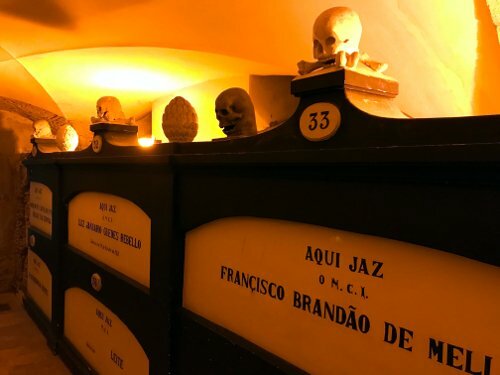 Photos are allowed in the catacombs, but not the main church. Of all the churches on this list, this is the only one that moved me to tears the second I stepped inside. I actually missed it the first time I was in Porto, in favor of churches with a more traditional blue-tiled facade. But an Uber driver on my second visit recommended it as a very special church for the people of Porto. Though the exterior is nothing particularly special, the Baroque interior has some of the most intricate woodwork I’ve ever seen. 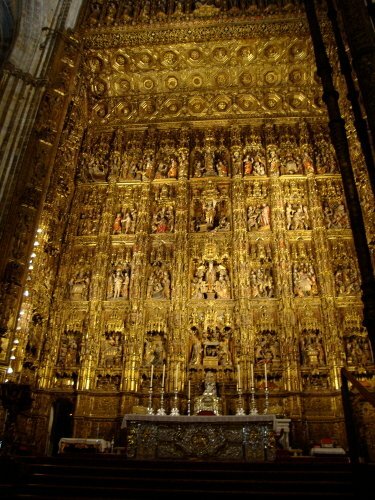 Everything from the altars to the ceiling was painstakingly carved out of rich wood and covered in gold leaf. Though photos are not allowed inside, the memory of your visit will remain with you forever. If I was the wedding ceremony type, this is where I would walk down the aisle to an orchestra playing The Beatles. Technically it’s a ruin now, as it was bombed by Germany during WWII into a state of disrepair. The roof and windows are completely gone, leaving only the shell of the church standing. 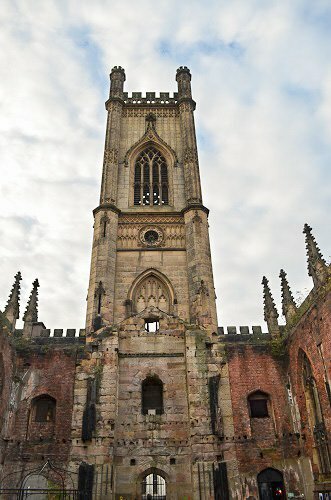 Though the tower, walls, and intricacies of the gothic architecture remain, the inside has been hollowed out, along with all its religious artifacts. When the sun sets, you can it see clear across the church. It’s one of the most impressive things I’ve had the fortune of seeing in person. This is the third largest church in the world and it’s grand enough to make Louis XIV blush. The giant altar piece depicts 45 stories of Jesus Christ carved in gilt wood, making it one of the most expensive in history. The amount of gold it took to make is staggering. This church also has the distinction of housing the remains of Christopher Columbus. I saw this on one of my first visits to Europe, and immediately realized why Catholicism has been so successful and influential. If I had been around in the 16th century, it would have made me believe in God, too. This might be an otherwise unremarkable baroque church, save for the spire with an external staircase that you can climb all the way to the golden sphere at the top. 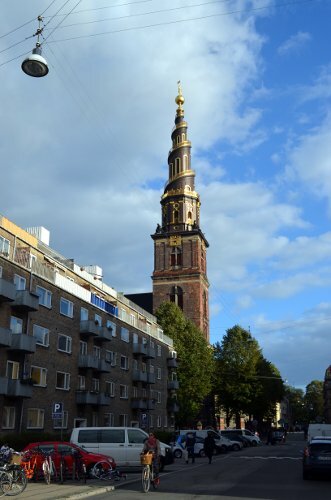 The distinctive shape can be seen from all over the city, looking like a perfect Danish chocolate cake with a gold-leaf trim. The cramped climb to the top on rickety wooden steps pays off the second you emerge outside to a stunning view of Copenhagen. 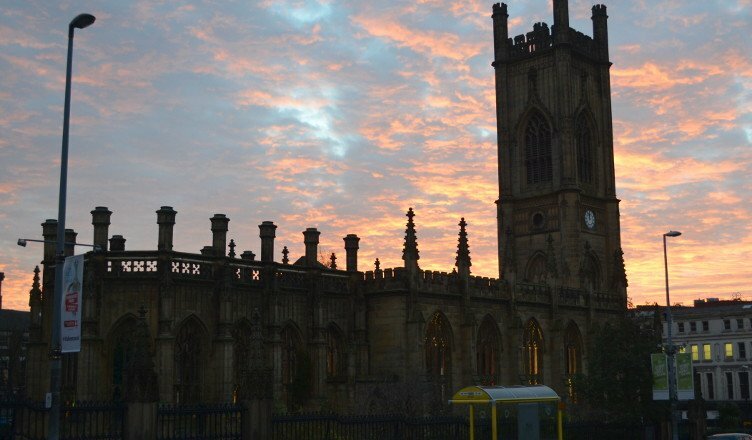 Whereas most other churches on this list are awe-inspiring and imposing, this one is simply adorable. This commanding structure is just as beautiful to admire from the outside as it is inside. 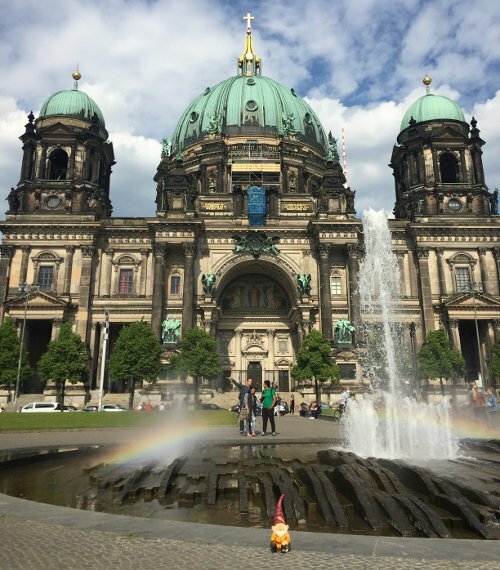 The soft green domes are a striking contrast to the weathered walls and columns, making it best enjoyed on a breezy day from the Lustgarten park below. But the interior is just as worthwhile, if only for the intricate artwork adorning the inside of the dome. Entrance gives you access to a view from a ground and upper floor, and the walkway around the dome gives you a beautiful open-air view of Berlin. Despite being pathologically religious, churches in the US are the most undignified places of worship in the world. 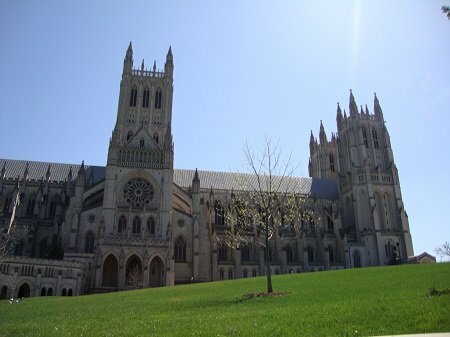 But one particularly grand example otherwise is the Washington National Cathedral. The Neo-Gothic building is the second largest church in the US and one of the most beautiful and most underrated sites in DC. Both the grounds and the interior are a place of peaceful contemplation. Aside from inaugural prayer services when a president takes office, this has also been the site of funeral services for almost all presidents that have died since the cathedral opened. 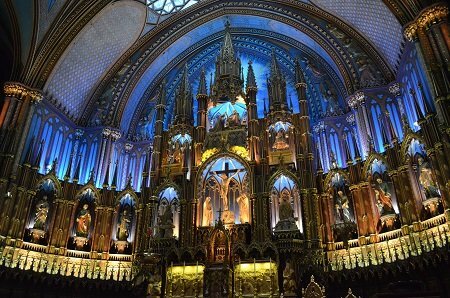 Though Notre-Dame in Paris deserves honorable mention, Notre-Dame Basilica in Montreal is a tad more memorable for me. This is mostly due to its unique use of color. The vaulted ceilings of the Gothic church are blue creating a beautiful contrast with the wood and gold altar and ornamental details. Its stained glass windows represent the history of Montreal rather than stories from the bible. The exterior, which is particularly beautiful at night, is lit up to match the ornate blue interior, as though the color was bursting out of it.